MANILA, Philippines – Which count will decide the winners of the midterm elections? In a press conference on Monday night, May 13, poll chief Sixto Brillantes Jr explained that election results published through two of three servers – the Comelec central server and the transparency server – remain unofficial. Initial results published by media groups, including Rappler, come from transparency mirror server. 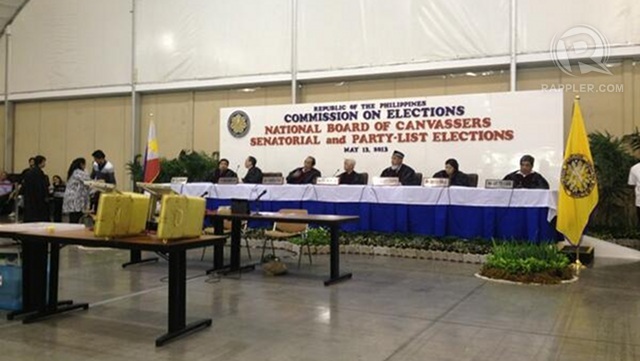 In the case of senatorial and party-list candidates, the results will flow from the MBOC server, then to the provincial board of canvassers server and the national board of canvassers server. “The official one goes into a ladderized system,” he said.